Cost Is $90 per student. $80 for subsequent students within the family. Class size is limited to the first 8 students registered. Pre-Registration is required. If you are registering multiple students, please scroll down and add them below. Here is a brief idea of what we’ll be covering. Three primary aspects of music, melody, rhythm, and harmony. Music genres: Classical Jazz Rock Bluegrass Blues etc. Instrument introduction….students will get to play drums, guitar, piano, bass, banjo, violin, trumpet, and use the microphone. Counting…things come in 4’s, for now. Learn basics of whole, half, quarter etc. notes. Learn the names of each drum and cymbal on a drum set. Learn a basic rock drum beat. Students are encouraged to bring their own guitars if they have access to one. Name the parts that make up the guitar. Learn basic chords and strumming techniques. Whole step and a half steps on the guitar. Open notes on the guitar. Students are encouraged to bring their own small keyboards if they have access to one. Name the parts that make up the keyboard. 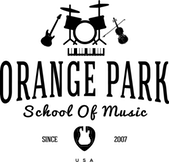 Learn basic chords and keyboard techniques. Whole step and a half steps on the keyboard. Open notes on the piano. Students will divide themselves up according to their instrument of interest. Learn easy chord pattern, with drums, guitar, and bass.